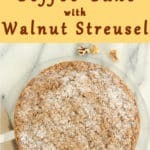 If banana bread and coffee cake had a baby, it would be this Banana Coffee Cake with Walnut Streusel. If you love bananas you’ll love this moist banana cake ribboned with brown sugar walnut streusel and topped with walnut crumble. 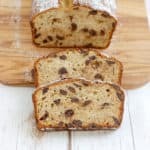 There’s not really much to say about this recipe other than I had a bunch of bananas that were perfectly ripe for baking and would be too mushy to eat within about a day. So I decided it was time to bake something with those bananas. 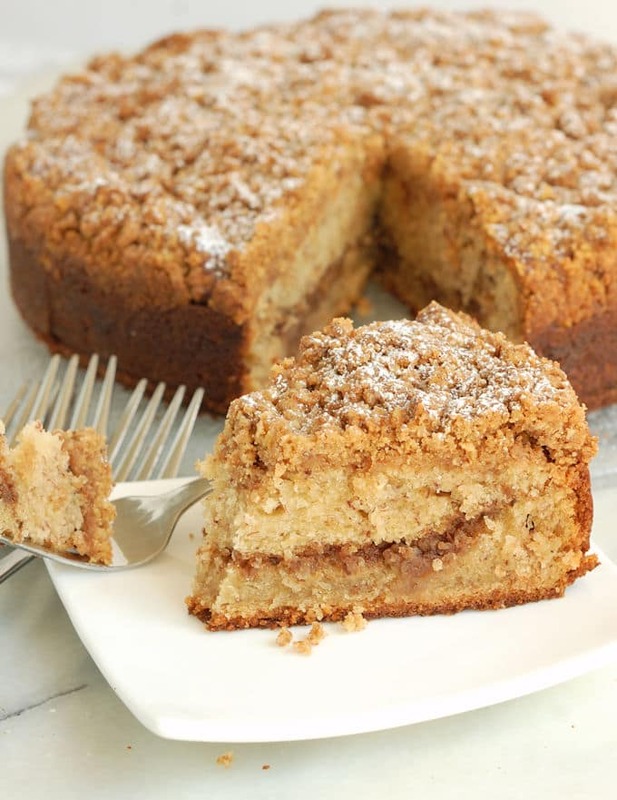 Banana bread is fine, but I wanted a breakfast cake and decided to turn the banana bread into a coffee cake because who doesn’t want a ribbon of streusel and a pile of brown sugar crumbs on their breakfast? 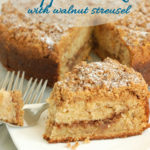 Bananas and walnuts are a natural pair and I always have walnuts in the pantry so the recipe would be a Banana Coffee Cake with Walnut Streusel. I used a basic vanilla cake recipe as the starting point. I always use sour cream in my vanilla cake because I love the flavor and moisture it adds, plus the acidity tenderizes the cake crumb. Because I was adding bananas, which add a lot of moisture and some sweetness, I reduced the amount of eggs and sour cream in the recipe. I also reduced the sugar a little bit, not only because the bananas were sweet, but since this was a breakfast cake I wanted the cake part a little less sweet. 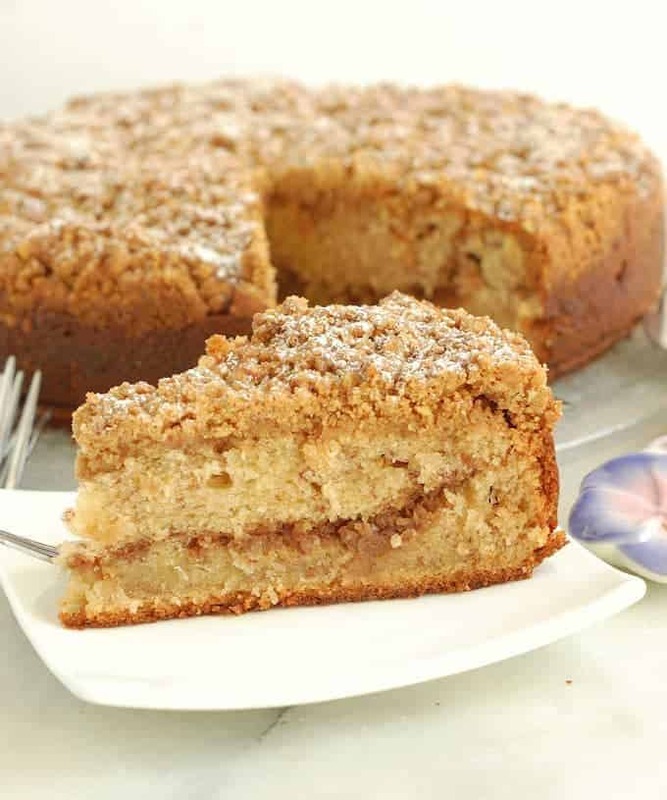 The streusel and crumb topping also add extra sweetness. 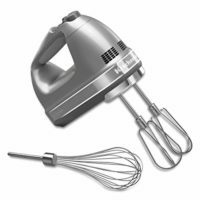 For more information about how to develop a new cake recipe visit this post about the Baker’s Formula. 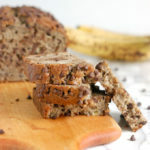 When I bake with bananas I prefer to just mash them with a fork, rather than puree them in a blender or food processor. I like to have some chunks of banana visible plus I find that when bananas are pureed they can get a little gummy. 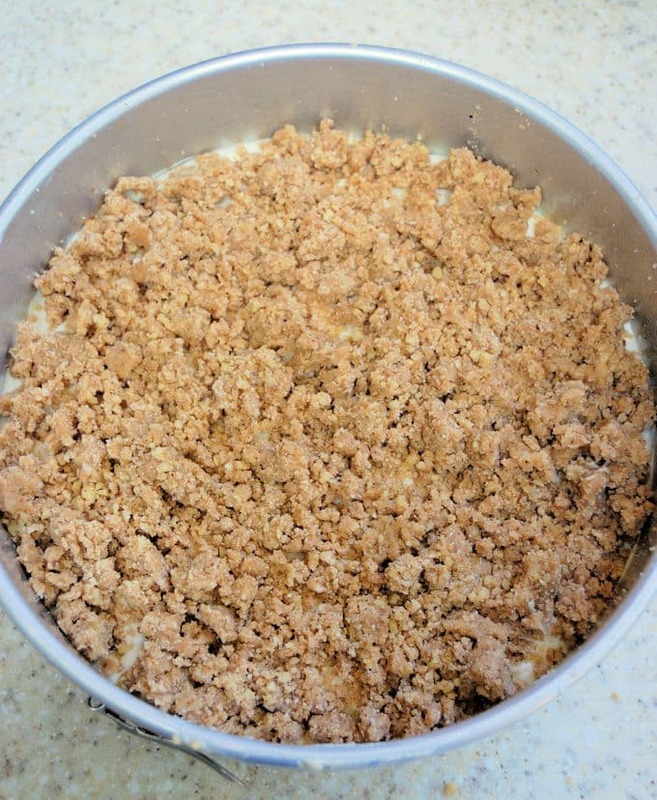 Put half the batter into the pan, then sprinkle the streusel over the batter. Spread the rest of the batter into the pan and crumble the topping in large chunks over the batter. I baked the cake in a 9″ springform pan to make it easy to unmold without disturbing the crumb topping. 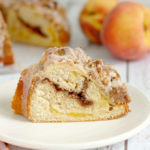 I also baked the same recipe as jumbo muffins. I got a dozen from the recipe. If you use a standard muffin tin you’ll probably get 18-24. Don’t overfill the muffin cups or the muffins will overrun the pan and sink in the middle. The muffin tins should only be about 1/2 full once the crumbs are added. You’re better off under filling than over filling the pans. 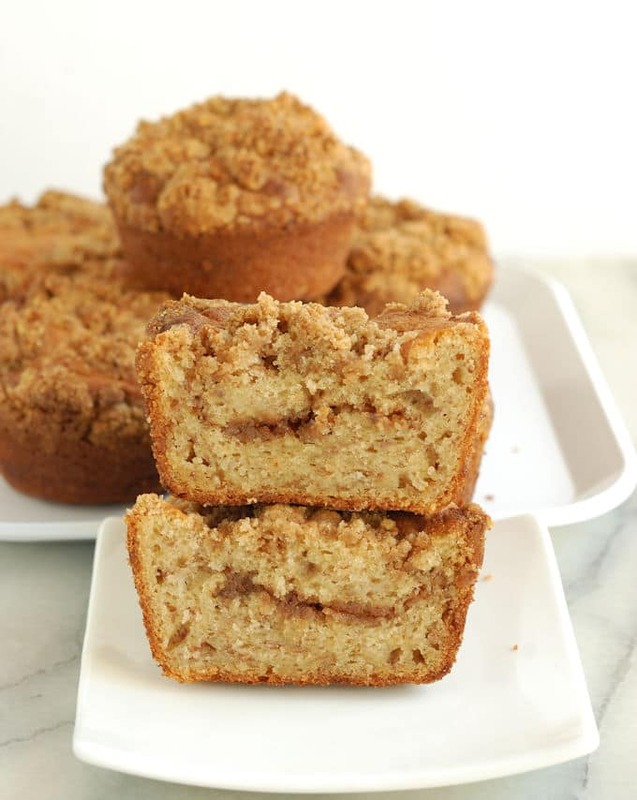 The recipe can also be baked as Banana Streusel Muffins. If you love this recipe please consider giving it 5 stars. 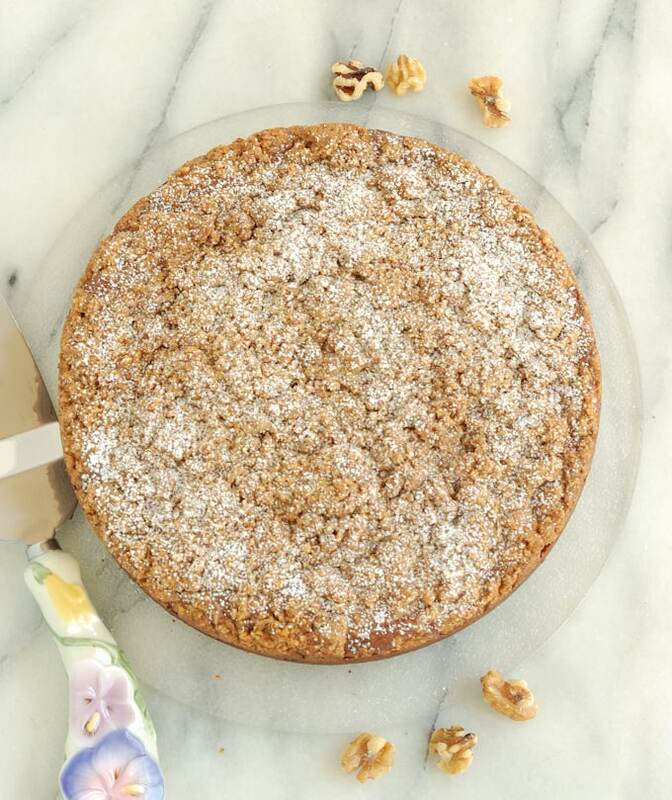 Super moist banana cake layered with walnut streusel and topped with walnut crumb topping. 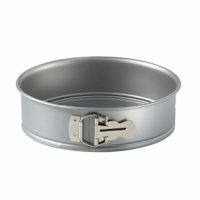 Butter and Flour a 9" springform pan. Preheat the oven to 350°F . 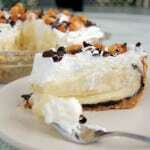 Combine the smashed bananas with the sour cream, eggs and vanilla extract, set aside. 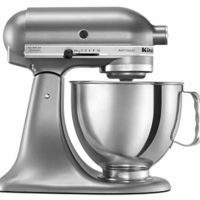 In a mixing bowl, combine the flour, sugar, baking soda, baking powder and salt. Mix the dry ingredients on low speed to distribute the salt and leavening. 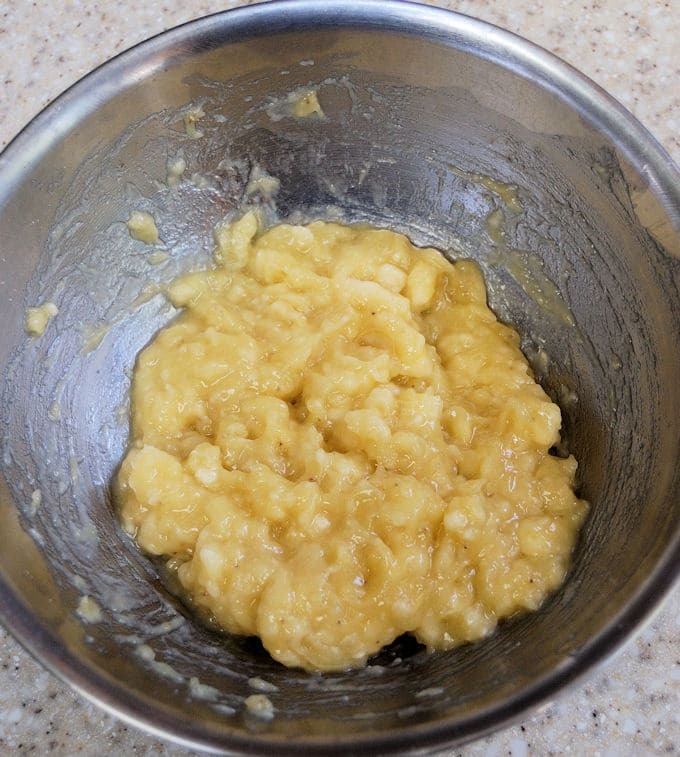 With the mixer running on low, add the butter to the dry ingredients. Add 1/2 the banana mixture and increase the speed to medium. Mix on medium speed for 2 minutes to lighten the batter. Scrape the bowl and beater. With the mixer on low speed add the remaining banana mixture in two batches. Scrape the bowl and beater between additions. Pour 1/2 of the batter into the prepared pan and smooth to an even layer. Sprinkle the reserved streusel filling over the batter. Drop dollops of the remaining batter over the filling and smooth to an even layer. 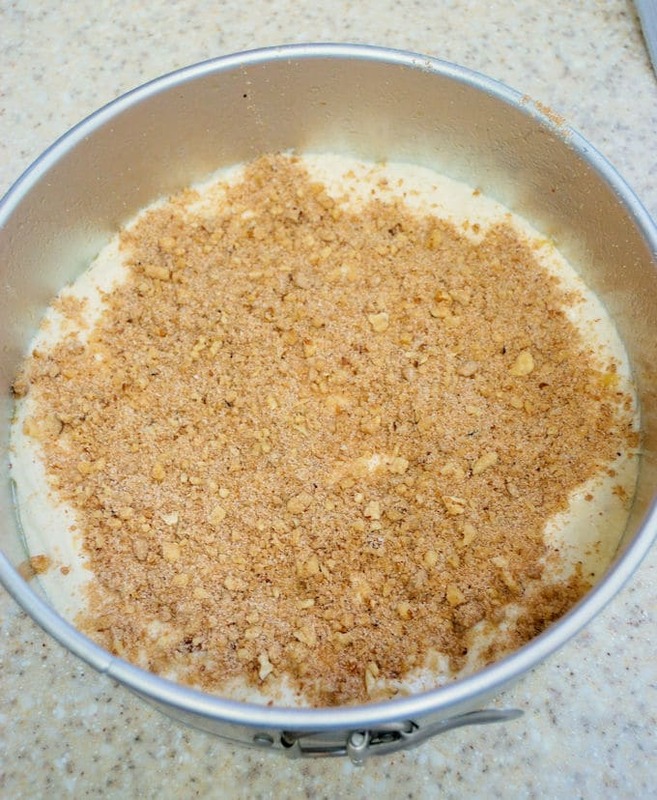 Grab big clumps of the streusel topping and break them into chunks evenly over the batter. The cake keeps well at room temperature for several days. 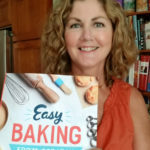 The recipe can also be baked as muffins. You should get about 12 jumbo or 24 standard muffins. This cake looks amazing! 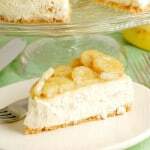 I always mash bananas with a fork too – no need to dirty any additional dishes. 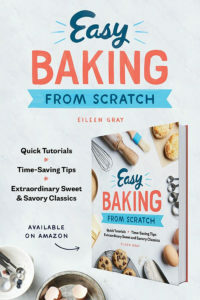 Eileen, this looks simply wonderful!! 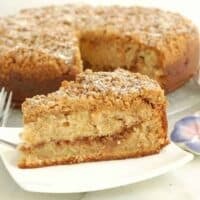 I love how moist banana baked goods are, and this coffee cake looks like no exception. YUM! It looks fabulous! Perfectly baked and so delicious. I love that crust! This cake looks wonderful with the streusal layer in the middle too! I have three overripe bananas sitting near me right now and I know I am quite tempted to jump up and make this cake right now! Hmmm, three overripe bananas, perfect! Go for it! Thanks for reading, Corina. That’s great, Erica. I hope you like it! Thanks for the recipe. 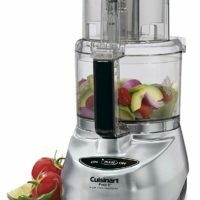 What can I replace walnuts with? Hi Chirry. You could use a different nut. If you can’t do nuts at all then I would increase the flour by a 1/2 cup to replace the walnuts.